Well what can I say? First we didn’t even get to the track on 16th October and 10 days later the event was postponed again for cross wind and stability issues. Since then we have been busy looking at and formulating are future moves. After much thought and advice from professionals, we have taken the necessary decision to start from scratch with a new design. 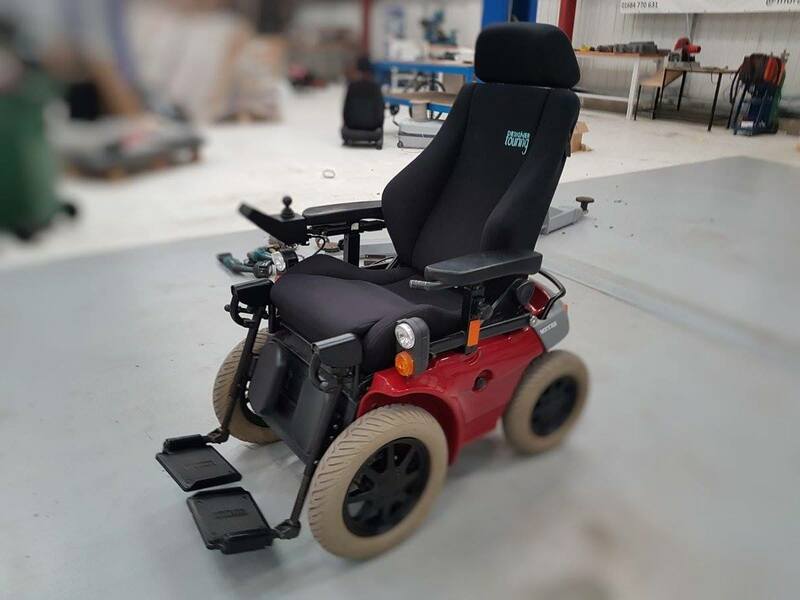 This time we have opted for a slightly longer design with different steering, most of the chair is being hand built including custom made hubs, rear axle and steering components. There are many more changes and new ideas but were keeping some secrets lol. 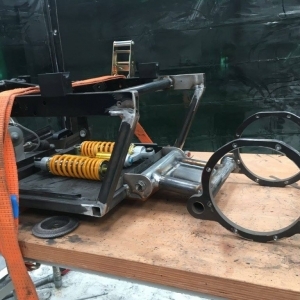 So who is doing the work, well the chassis and the parts are being built and put together at Heald in Hornsea ,who make safety and security bollards and barriers. Assisting Rod and Debbie is Graham and David who are engineers but also work closely with Straightliners and hold various records between them , they are instrumental to design and stability. We have help from Ian who is an ev specialist who is advising and assisting with the power train. We hope to keep you all posted on the progress of the project, complete with images and videos. Progress and learning has come thick and fast recently. 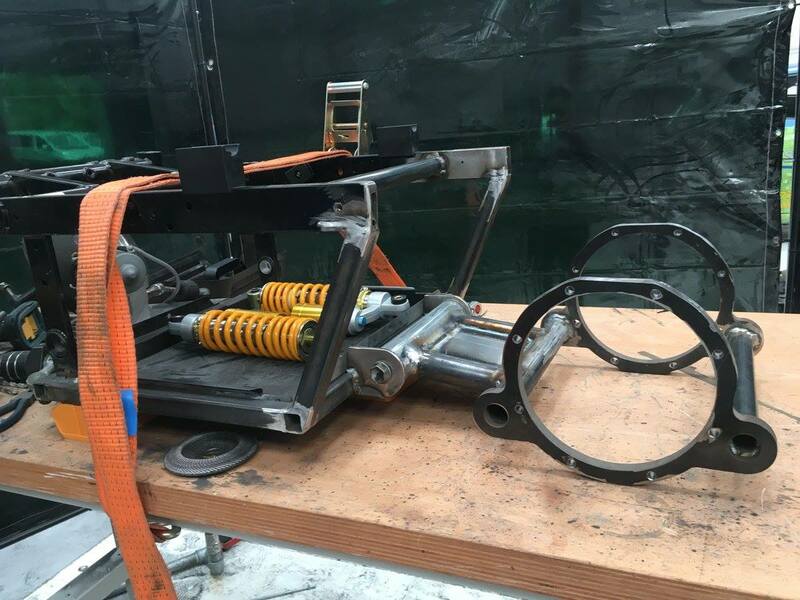 Indra have really pulled out all the stops to get the wheelchair ready and within the next couple of weeks it will be ready for testing. 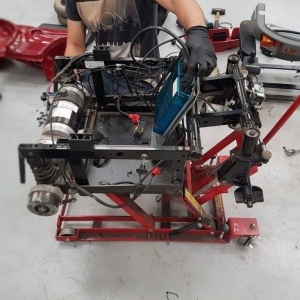 Progress has been made in mounting the rear axle, complete with motors, suspension, mounting the seat, front wheels and steering. 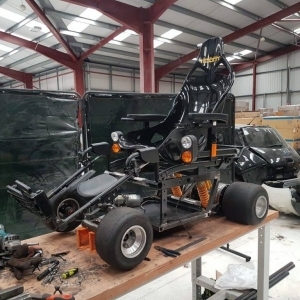 So far one major problem came up in that on paper, the chair was capable of 230mph, so a solution had to be found to slow it down to a more sensible speed. The power systems are being loaned from Indra due to expense and practicality of charging. 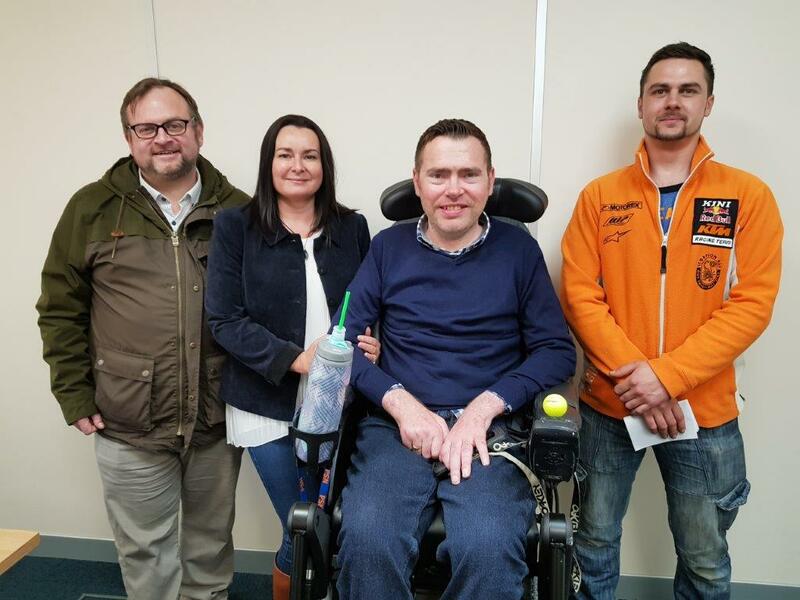 While Indra have been busy designing and building the chair, we have been gathering more sponsors and promoting the project on social media and in the local press. We have had fun and games trying to get all the logos onto the race suit, but the end result is rather spectacular. We have also been to an event at Elvington Airfield so we could see how it all works and what I will face. We were lucky enough to meet the event organisers and found out a lot about what goes into attempting a world record. 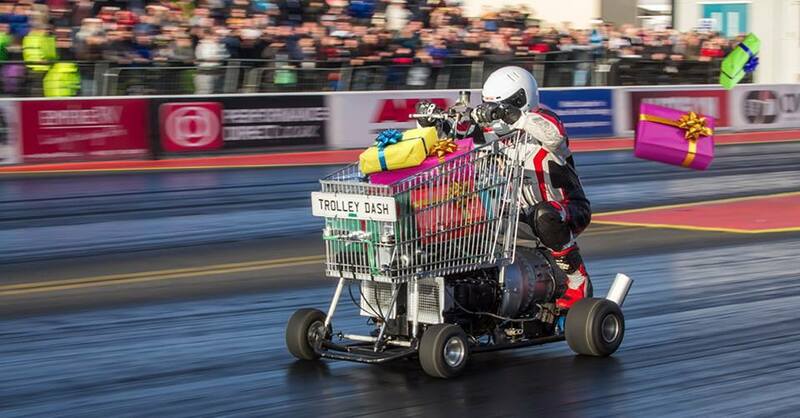 I was excited to meet Matt who currently holds the Guinness World Record for the fastest shopping trolley. He was full of useful information and tips. Next up is testing. We have to confirm a date for this once we know when the chair will be ready, so check back for more updates. 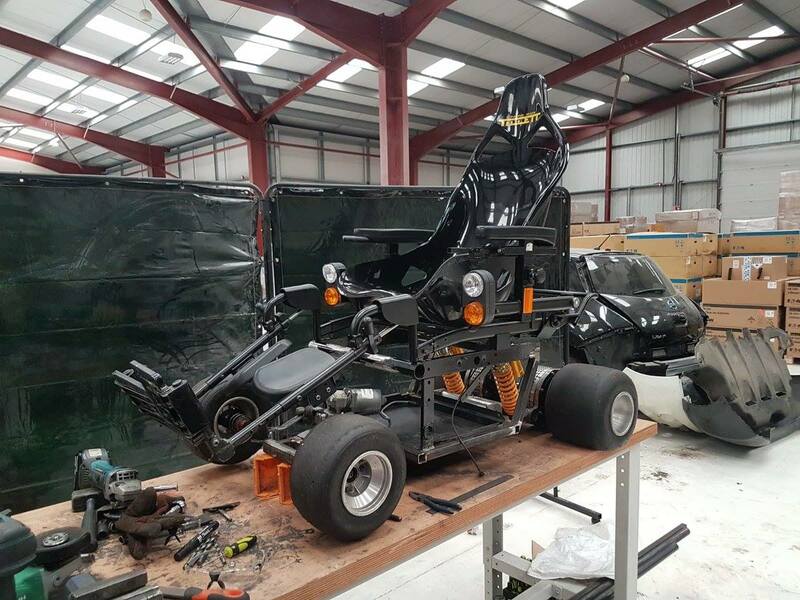 Initially we were to build a chair from scratch but on digging around for parts it was discovered that it would be cheaper to buy a suitable used chair with all the main components on. So such a chair has been bought from Germany and will be here at Indra next week. 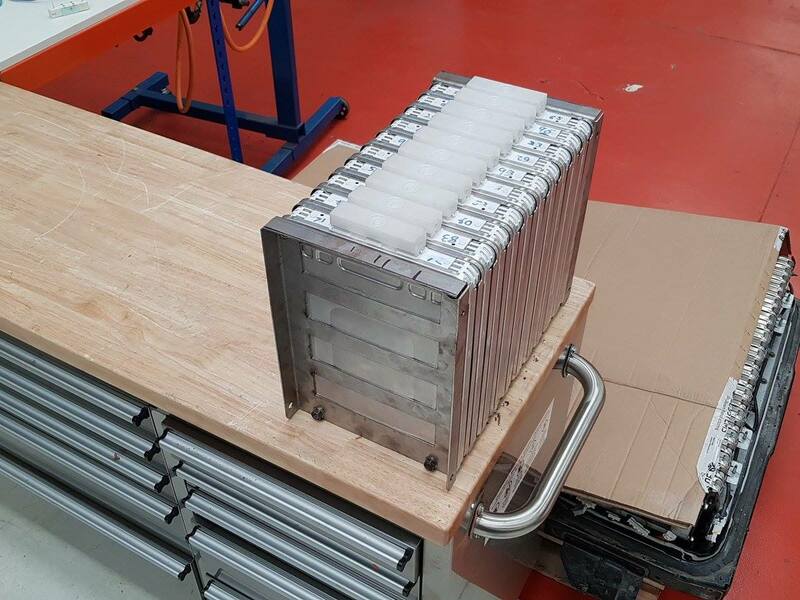 The high speed motors are waiting to be fitted. 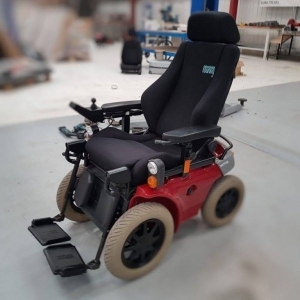 This is not a simple conversion as the chosen chair is rear wheel steer, why have we chosen that? Conventional chairs are castor wheels at the front, no good for the speeds we are trying to achieve. The other types are skid steering like a tank, again no good for us. 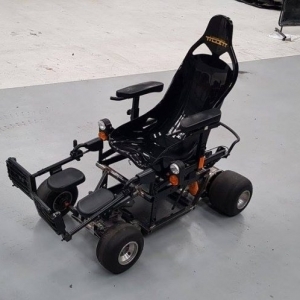 This chair is rack and pinion controlled by a motor through a joy stick, ideal for our needs, with front wheel drive. 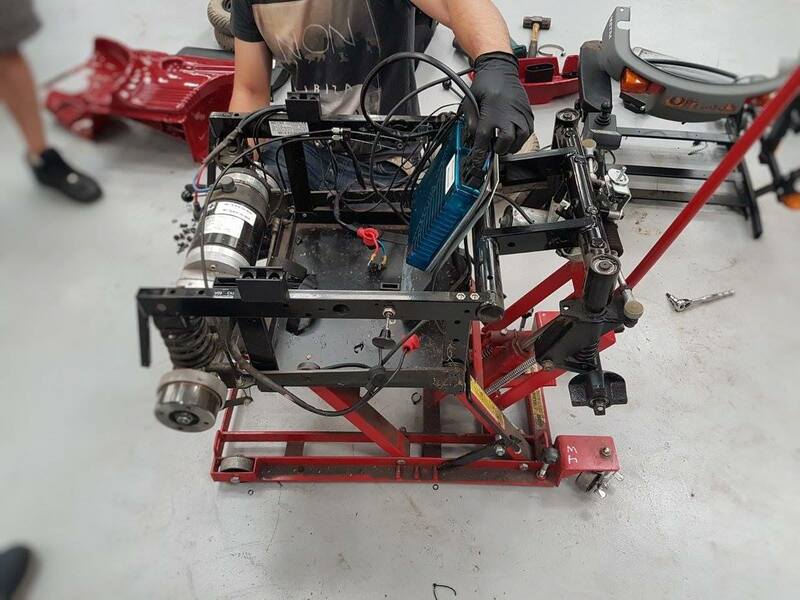 So Indra want to turn it round so we have a rear wheel drive front wheel steering dragster. Along side this we have a full parts list. 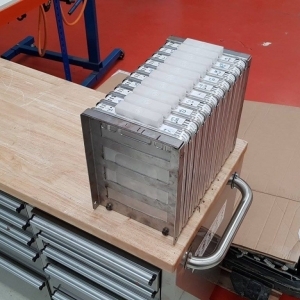 Indra are as well as building the chair supplying ultra thin batteries, the new seat must be fitted and lowered. 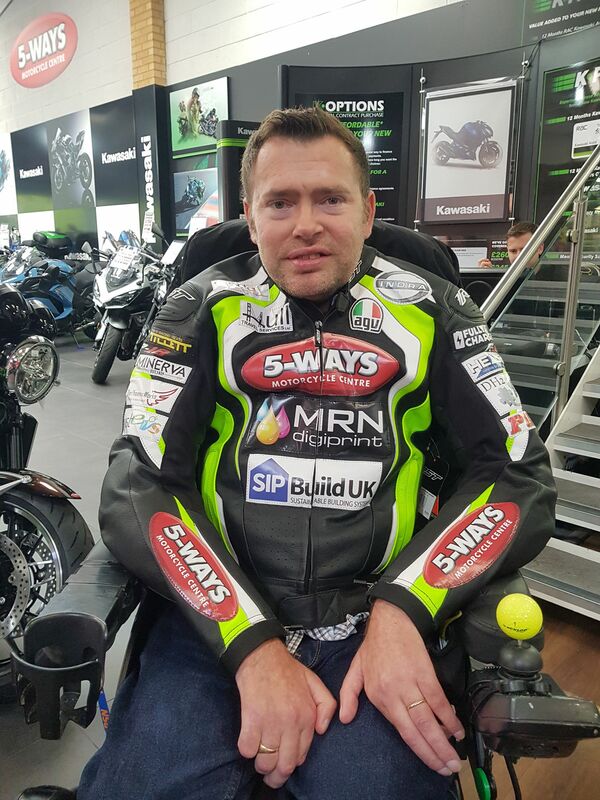 We have been talking with a tyre specialist who has recommended a scooter tyre capable of 100 mph filled with a compound similar in characteristics to air but puncture proof, fairly simple to work out the outcome of a puncture in a wheelchair at any speed let alone near triple figures. 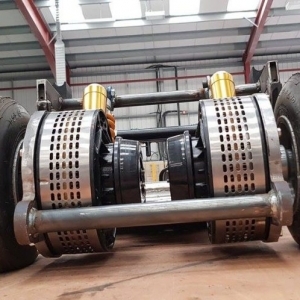 Other parts to be fitted are battery boxes, hub converters to accept the new wheels, controller power supply and power converter for the controller. We now have a estimated build time of 6 – 8 weeks, slightly delayed from my original plans. Next steps are to confirm a date with Elvington airfield and to raise the remainder of the funds required. 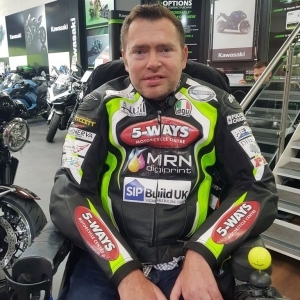 Mrn print have offered to sign write my Van in vinyl so we are hoping to raise awareness and funds for the challenge that way as well as social media. We have the backing of the Fully charged show, the Free Masons and the MNDA. I will update you all again when we visit Indra in Worcestershire to see how the build is progressing and possibly a test drive. 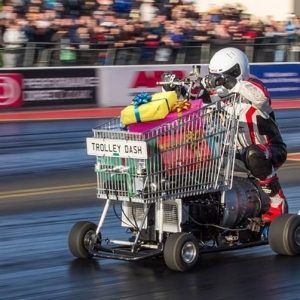 This page is about my latest challenge - the world’s fastest electric wheelchair! Yes, you read that right. Last year I came up with this outrageous idea - and then promptly applied to Guinness World Records to see if they would accept my record. Some 12 weeks later, it was approved. Christmas came and went, two trips to hospital nearly got the better of me but still I fight on. Now, asking people to help with such a mad idea is mad in itself, especially when you tell them how fast you want to go. So, one evening I chatted to a friend on Facebook, who suggested a friend of his who has a company in the electric vehicle industry - and, oh by the way, he’s as mad as you. That was it. I sent an email and within a couple of weeks a meeting was arranged. Liz and I met Jay and Dean from Indra, who were equally as excited about the project as I was. At this stage I should say THAT although Liz is 100% behind me, she also agrees I am insane. Setting the world record in Jay’s words is relatively easy. The attraction to the project, well in both their words, was “we have to do this”, with regards to the record I wish to set. Various ideas were thrown around and I put my visions to them. To my surprise most of them actually might be used as they were good ones. To achieve my goal which is more than just a goal - a legacy to leave behind for my girls, that not only did I set a world record, but I did it with advanced Motor Neurone Disease, while virtually paralysed. This to me shows not only my girls but indeed the whole world that just because you are disabled, or suffer with an illness, or terminal illness, that life is over. In fact, having two terminal illnesses in some respects was the start of a new life. Indra estimate it will cost somewhere in the region of £10,000 to make the bespoke chair. Before they can manufacture the chair. We are looking for companies who would be willing to offer sponsorship. In return, they can have their name and logo on my helmet, suit, on the parachutes, published on social media and shown on the day. Not surprisingly it is already attracting media attention. It has been on Look North and the Yorkshire Post has published an article. The BBC is making a documentary for Inside Out and we expect the record attempt will be in the National news. If you know of anyone who maybe interested in being a part of this, please contact me on Jason@cossie.biz.